This article interrogates the practicability and efficacy of arts-based methods for peacebuilding as opposed to the formal negotiating table within African grassroots communities. It problematises the application of western liberal peace models at grassroots level. The article reviews and locates itself within the broader discourse of alternative or informal peacebuilding. Using the case study of Rwandan post-genocide dramatic reconstructions, the article illustrates specific participatory theatre techniques extracted from the applied theatre field and how these can be employed for peacebuilding at grassroots level. The article argues for a safe, aesthetic space, created by theatre as critical to peacebuilding activities. To give a rounded overview, the article finally reflects on potential disadvantages and controversies of using participatory theatre for peacebuilding and concludes that creative arts-based methods offer practical, inclusive, inexpensive space conducive for organic peacebuilding at grassroots level. All theatre is necessarily political … and those who try to separate theatre from politics try to lead us into error and this is a political attitude (Augusto Boal 1979:x). Whilst theories of peacebuilding are ample and studies of their successes and limitations are abundant, more attention needs to be given to the role and efficacy of arts-based approaches to conflict resolution within post-conflict communities. The article discusses participatory theatre as an alternative and informal method for post-conflict peacebuilding within grassroots communities. The author does not claim that creative arts should be exclusive to grassroots communities; indeed they can be used in other formal settings such as simulations training. The main argument here is that arts-based mechanisms have great significance for grassroots communities. To begin, the article provides a grounding framework about peacebuilding and where it is placed within the cycle of conflict. It then offers a brief overview of modern conflicts in Africa before it locates itself within alternative or informal peacebuilding discourse. The article then responds to the central question as to why participatory theatre should be employed for post-conflict reconstruction. It then assesses its applicability through the Rwandan post-genocide case study, as reported by Breed (2008). The article then addresses concerns of efficacy of theatre in peacebuilding work; and also describes shortcomings of formal mediation within grassroots settings before it offers its final conclusions. The fundamental definition of participatory theatre refers to the use of theatrical techniques to sensitise the masses in order to raise their consciousness around particular issues with the hope of social action (Prentki 2009). Participatory theatre uses theatrical methodology to help people understand and rehearse solutions to their problems through addressing personal needs and socio-political concerns of a given group (Savidge 2012). It is acknowledged here that participatory theatre techniques overlap with other disciplines such as psychology, sociology and psychiatry (Blatner 2007), hence theatre techniques in this article will not be explained for their own sake, but as they interact with these disciplines and are applicable to peacebuilding. The article is framed by an understanding of Lund’s (1996) conflict curve which locates peacebuilding within the conflict cycle. The practice of peacebuilding is located within the de-escalation phase of the conflict, at the back-end of the bell-shaped curve of the conflict course, where violence subsides and reconciliation begins.1 The article also uses Lederach’s model of peacebuilding, where he outlines: structure; process; relationships; resources and coordination as basic stages of peacebuilding practice. These stages indicate that people need the opportunity for ‘an encounter to express with one another the trauma of loss, grief, anger, pain and the memory of injustice’ (Lederach 1997:28). 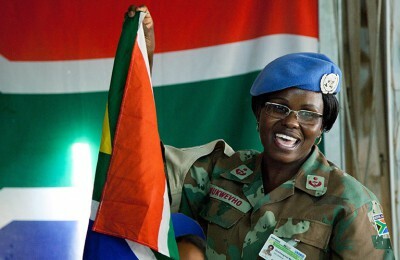 Peacebuilding is thus understood as proactive reconciliation that seeks an encounter after conflict or violence, ‘where people can focus on their relationships and share their feelings and experiences with one another with the goal of creating new perceptions and a new shared experience’ (Lederach 1997:30). The article thus asks: Which specific participatory theatre techniques can peace practitioners employ at grassroots level? How effective is participatory theatre in peacebuilding and conflict resolution within grassroots settings? The article contributes to the discourse by making an evaluation of how participatory theatre forms a pedagogy for peace practice. No less than 28 sub-Saharan African states have experienced conflict since 1980 (Shah 2014). 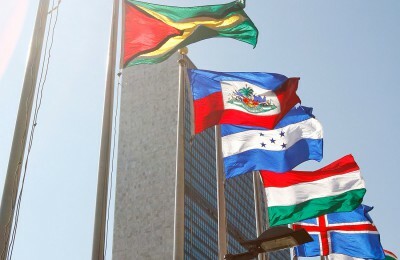 These include Angola, Burundi, Democratic Republic of the Congo, Côte d’Ivoire, Eritrea and Ethiopia, Kenya, Liberia, Nigeria, Rwanda, Sierra Leone, Sudan and South Sudan, Uganda and Zimbabwe. Some of these are currently on-going whilst others are recurring periodically. 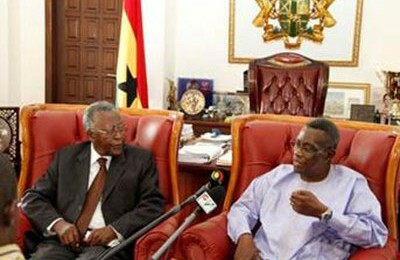 Conflicts in Africa have been attributed to legacies of slavery, colonialism and the scramble for Africa, which left divided societies with artificial boundaries and borders, the re-invention and codification of African traditions and customs, tribalism, one-party state systems, unequal international trade, International Monetary Fund/World Bank policies on economic structural adjustment, neo-colonialism and crippling debt. It is in this situation of civil unrest that this article attempts to promote the use of arts-based, informal peacebuilding in African grassroots communities. Although arts-based peace initiatives may not constitute the mainstream, there is literature that appreciates their efforts. Despite being marginalized, there is a growing body of literature illustrating the intersection between the arts and their role in post-conflict resolution. The article adds to this discourse by elaborating specific participatory theatre techniques for use in peacebuilding. Many conflict mediation organisations do not have arts-based mechanisms in place. This is because arts are perceived as ‘soft’, compared to the ‘hard’ issues of conflict and violence. Therefore, peacebuilding practitioners have tended to come from the social and political sciences rather than from the arts and humanities fields (Shank and Schirch 2008). Shank and Schirch (2008) are considered to be in the vanguard in shaping the conceptual framework behind strategic arts-based peacebuilding. Shank and Schirch (2008) note that there is still very little solid theory, empirical research, or evaluation of arts-based peacebuilding compared to the mainstream liberal peace models. However, whilst Shank and Schirch (2008) allude to the use of a variety of the arts, including: hip-hop music, mural painting, spoken word, documentary filmmaking, agitprop, installation art, and chants. This article is distinct in that it elaborates specific participatory theatre techniques. It examines these techniques with the aim of equipping practitioners without specialised knowledge in the applied theatre paradigm. Major peacebuilding theories provide for the systemic dimension in the peacebuilding process, but rarely integrate cultural and practical indigenous methodologies (Amollo 2008). Hence local culture and indigenous knowledges are ignored within mainstream peacebuilding and this can be dis-empowering to communities. The use of participatory theatre in peacebuilding therefore aims at creating bottom-up approaches that take into account indigenous knowledge and practices. Peacebuilding scholar Lederach (1997) asserts that any peacebuilding work must start with narrating events of the past and what happened during the conflict. Acknowledgement through hearing one another’s stories validates their experiences of each and is a way of moving forward. Furthermore, the story forms a basis for organising human experiences and reveals not only that which is already known, but that which is there but not yet understood (Booth 1994). This article finds an anchor in these assertions because the use of story in peacebuilding is an ice-breaker which precedes deeper penetration into the issues of surviving violence. The use of theatre creates a safe platform where participants can use their self-narratives to validate each others’ experiences and begin the process of healing. These acts of self-narration enable self-recognition and self-crafting (Butler 2005). This is because the whole notion of ‘self’ is dependent on ‘others’, and as such, self-narration offers participants reconstructions of themselves that can be revised through drama to offer relief, affirmation, recognition, healing and possible solutions. The act of witnessing by others in itself creates recognition through the Hegelian concept of reciprocal recognition (Butler 2005:21). The immediacy of theatre enables participants to interrogate the peacebuilding process as it happens and arrive at new truths that can be immediately examined by all through the process of reflection and evaluation. 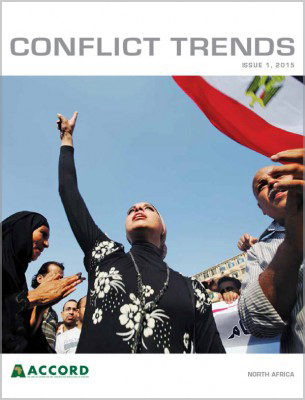 The article is also positioned in relation to traditional peacebuilding mechanisms. According to Boege (2011), traditional approaches to conflict resolution play an important role in contemporary conflict transformation because of ‘new’ wars which have emerged through a hybridity of political orders in the global South. Boege (2011) identifies ‘new’ wars as those that do not consider states, borders, sovereignty or territorial integrity. It may thus be argued that in light of these new wars, non-western approaches to conflict transformation will need to be given precedence. Boege (2011) further laments that Western thinking has become so overwhelmingly predominant in today’s world that it appears as the universal model, whereas other ways of thinking are merely perceived as ‘the other’. There is, therefore, a need for new approaches to conflict transformation; in fact, conflict resolution methods need to be as diverse and complex as the human spirit (Shank and Schirch 2008). Although participatory theatre can be regarded as a western concept in terms of its scholarship and origin, one argues that it cannot be entirely regarded as such, since it is understood through localised indigenous knowledges, customs, and norms. Theatre itself has for centuries been an important African social phenomenon, playing a central role in religion, ritual, communication and social practices (Ogutu et al. 2003). Conteh-Morgan (2005) dissects the implications of the interactive relationship between peacebuilding and human security. He argues for bottom-up approaches to peacebuilding, taking into account culture and identity as critical factors. This article emphasises these assertions and asserts that a closer analysis of local indigenous knowledge, culture and identity offers considerable amounts of data relevant to understanding root causes of conflict, usually ignored by formal means of peacebuilding. Participatory theatre, like traditional conflict resolution aims at the restoration of order and harmony of the community, but does not necessarily mean the return to the status quo (Boege 2011). Theatre seeks to focus on re-building relationships with the aim of co-existence in the future. Therefore restitution, reconciliation and restoration of harmony and relationships can be achieved when based on a common understanding of what went wrong in the past. Although ‘drama’ and ‘theatre’ are not the same within the applied theatre discipline, for the purposes of this article, these terms will refer to the same theatrical activities employed in peacebuilding work. It is important to ask the question: why use drama for peacebuilding in the first place? The answer to this lies in the basic nature of drama itself. Drama is a situation where relationships are in conflict; in fact, where there is confrontation, we tend to say there is drama. Therefore there are fundamental similarities between conflict and drama. To begin with, both drama and conflict use the same terms ‘protagonist‘ and ‘antagonist‘ to mean the main parties involved (Löfgren and Malm 2005). Secondly, both drama and conflict analysis depend on emotions. Empathy is a critically important emotional response if drama is to be effective and if peacebuilding is to be achieved; hence drama by its nature can systematically be used to study conflict. It is however critical for practitioners of drama for conflict transformation to frame and locate their methods in respect of local contexts, indigenous knowledges, cultural traditions, value and belief systems in order to access context-specific issues (Arendshorst 2005). Drama, like conflict, concerns itself with taking action in resolving disputes. As informed by the article’s opening quote, (any use of theatre is a political activity and an activity of resistance; of crossing the border between objectification and subjectivity (Prentki 2009:252). The strength of drama in peacebuilding work is in its power to open new and unimaginable insights by experiencing conflict at physical and emotional levels, which is learning by doing and feeling. The process of making theatre for peacebuilding is a political process that happens in the present and demands that people make a conscious effort to create and be involved in it (Kelleher 2009). Drama provokes actions that demand reactions and responses, thus it can influence, incite, inform and educate (Kelleher 2009:10). In this increasingly economically oriented global village, relationships are reduced to economic and business transactions such that those with no purchasing power are excluded, not only from economic participation, but also from activities that affect citizenship and participation (Prentki 2009:252). Using theatre for peacebuilding thus restores participants’ role as active citizens, able to take action in matters that affect them as opposed to being passive consumers of political processes. Pragmatically, formal peace models cannot allow ‘all’ voices to be heard, but participatory theatre does away with pseudo-participation, where there is an illusion of participation, when in reality a privileged few act and think for the benefit of the uninformed who have no access to the procedures. It may be argued that at the root of conflict is the human being with real human emotions, not abstract concepts; hence theatre should not be used exclusively for state building but for community building that allows pluralist, democratic and subaltern voices to be heard, so that the grand narratives of the privileged are no longer predominant. Theatre has been criticised for focusing on microcosm communities and failing to effect structural and policy changes. However, as witnessed in Rwanda, the use of theatre for large masses of people was possible due to a large number of theatre ensembles. Over 300 theatre associations throughout the country emerged in the post-genocide period and these were able to have a national effect. In fact theatre ensembles were later recognised and supported by the government of Rwanda (Breed 2008). Theatre is an accessible and sustainable process that is always available to those who want to employ it. As observed by the United Nations mission working in the Kivu provinces of the Democratic Republic of the Congo, arts-oriented peacebuilding efforts were highly successful in initiating peace dialogues because they were accessible to women and children, who are normally ignored in formal peace negotiations (Gordon and Myers 2001). Community theatre productions in the Kivu provinces were further adapted for radio and translated into various local language dialects after they were reported to be effective in opening peace dialogues. The major strength of these efforts was that they drew from the people’s indigenous knowledge, cultural references, and languages, and were relatively inexpensive to facilitate. As a collective art, theatre encourages community cohesion and discourages community isolation and fragmentation. Furthermore, the use of a people’s language in mediation processes is culturally empowering and offers transparency, as all involved can understand and contribute. It is argued here that of paramount importance, though an unappreciated aspect of using theatre for peacebuilding, is mere involvement in the process itself. The author has observed elsewhere (Mtukwa 2013) the powerful underlying aesthetic pleasure derived from dramatic participation, what one may term ‘the pleasure of playing’ as participants take time off their daily life struggles. Laughing, playing and the sheer enjoyment of dramatic activities within applied theatre interventions can be an end in itself, as participants appreciate the value and relief of laughing and playing within the aesthetic space. The author argues that this function of theatre is seriously underestimated regarding its ability to bring healing to affected people. The essence of freedom, fun and enjoyment provides participants with unusual access to fundamental components of their lives (Chinyowa 2005). Playing helps to relieve different forms of stress and anxiety and offers a space to practice spontaneity, which is necessary for vitality and healing (Blatner 2007). In Rwanda, the presidential pardon of genocide prisoners saw over 20 000 prisoners in 2003 and 35 000 more in 2005 rejoining the Rwandan population (Breed 2008). This demanded that Rwandan citizens live side by side with their former enemies. Over 300 theatre grassroots ensembles, also called associations, were formed throughout Rwanda. They made use of theatre, music, dance and poetry to re-build communities after the genocide. These theatre groups naturally emerged from a genuine, organic need for people to interact in the aftermath of violence. Participatory theatre can be carried out in any given space, including prisons, offices, hospitals, homes or even a corner of an abandoned building. However, what is crucial is the creation of an effective safe space in which theatre can take place. Aesthetic space in participatory theatre means a safe, creative environment that has rules of operation in order to protect, facilitate and enhance interaction amongst those who will operate within that space. This is the atmosphere that allows and encourages participation. The aesthetic space is a safe platform that ‘stimulates learning; liberates memory; imagination and healing’ (Boal 1995:21). According to Breed (2008:42), grassroots associations in Rwanda used theatre as a tool to foster reconciliation, and a space for ‘intimate acts of confession and forgiveness’. Hence the aesthetic space is a place of sharing personal experiences, developing feelings of trust, acceptance and courage. Central to creating an effective aesthetic space is an establishment of rules of the game, what applied theatre practitioners term ‘dramatic contract’ (see Mtukwa 2010). This may be an oral or written agreement that lists ground rules that help create group cohesion, identity and regulations. The contract clearly explains facilitators’ and participants’ roles, expectations, and how to deal with challenges that will arise from the process. After creating an effective aesthetic space, participatory theatre makes use of role-playing to represent the conflict parties. Role-playing in peacebuilding work refers to honestly assuming the identity, values and attitudes representing, informing and influencing the parties to the conflict. Role-playing in peacebuilding does not deal with the psychological immersion of prescribed character as in a written script, but is a safe re-creation and re-arrangement of the conflict in order to examine the underlying causes and possible solutions. This re-creation offers a chance for participants to ask questions and speak back to violence in a manner otherwise unavailable to them. Theatre practitioners in Rwanda staged different roles in short scenarios depicting interactions between perpetrators and victims of the genocide, and participants were able to identify the roles depicted in the drama. Role-playing had a profound influence on a participant’s decision to further participate and contribute to the process. Thus, role-playing influenced, informed and incited emotional reactions that enabled participants to discover and identify hidden realities, as informed by the following example. This art and theatre gave me some kind of happiness. At first I would be discouraged, I would be lonely; as I associate and interact with people I begin feeling all right, I become happy. I can laugh. I can talk to people. I feel liberated. When you are with others singing, acting, performing … [you] feel relaxed. Another thing is when you are in this mission; it leads others to understand things which they didn’t understand before. It makes you interact with a person you used to fear. Another thing is that there are things that were hidden from you which you get to know […] and we go in this group to give an example of how people will live together (Breed 2008:41). The above quote by a genocide survivor shows how theatre can evoke new insights and transformations that are otherwise unavailable. The aesthetic space created by drama empowered participants to re-understand the conflict through dialogue, and re-construction and creative co-learning (Arendshorst 2005). Abiyunze United is another association formed by a perpetrator and his peers, dedicated to confessions and forgiveness. The initiator of the association stated that he saw the mistrust and unease in the community after the release of the prisoners back into the population. Hence he wanted to find a way to bring people together, to change the atmosphere of fear and decided to use theatre, music, and dance to reconcile the community. We dance together, we sing, we make handicrafts, build houses. When they confess, it gives morality […]. When we sing and dance, we feel happy and excited. I no longer see them as enemies; but those who share the same problems of surviving (Breed 2008:41). From the above quotation, we note that theatre is able to give a platform which shifts and deconstructs the roles of former enemies and re-constructs relationships towards a focus on the future. In Rwanda, the use of theatre was perceived as safe; hence the level of voluntary confessions was high. According to Breed (2008), where theatre ensembles had fostered dialogue, the rate of voluntary confessions went up to 75%, compared to the national average of 35%. Witnessing of theatrical activities within the dramas aided participants’ memory and the release of images locked up in the subconscious. The magic of the aesthetic space is that it has the capacity of bringing in the here and now ‘that which had been lost in the mists of time, had deserted memory or fled into un-consciousness’ (Boal 1995:27). Therefore, the immediacy of theatre has the power to bring up, in a physical form, ignored or forgotten feelings and desires. Role reversal is one of the key techniques of participatory theatre. Role-reversing refers to the reversal of roles within the drama. It involves honestly exchanging roles within the drama and imagining what the other must be going through as a result of his or her own actions. The importance of role-reversal is that it promotes empathy skills and the imagination of what the other person might be going through. This is critical to the restoration and re-creation of new relationships. 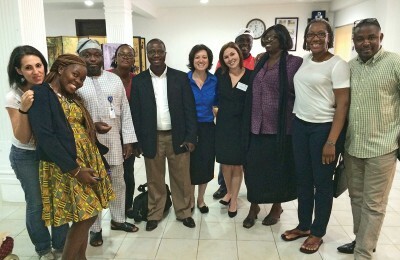 The uniqueness of this technique in peacebuilding lies in offering participants an opportunity to deconstruct and reverse the conflict under analysis and view and experience it from a totally different perspective. In Rwanda, the Umuhanzi w’u Rwanda Cultural Association made use of a version of role-reversal, where former enemies were able to hear each other’s story as they narrated how the genocide affected their post-conflict survival. Prior to joining the same theatre ensemble, both victim and perpetrator both reported feelings of loneliness, depression and isolation as effects of the genocide.. Although they did not reverse roles in the sense of the victim narrating the perpetrator’s story and vice versa, they both exchanged their experiences and feelings and gained an insight as to how each was affected by the other during the genocide. Therefore, story provides the community with an aesthetic framework for learning about itself, reflecting on its needs and aspirations and interpreting the meaning of its own experiences (Chinyowa 2008). Mirroring in participatory theatre involves a participant using body, voice, mannerisms and expressions to convey a certain message from the conflict plot within the aesthetic space. A second person imitates all the mannerisms and expressions of the first performer, so that one may see themselves as in a mirror, and see exactly how they are also seen by others (Blatner 2006). Mirroring is important in peacebuilding because it dislocates power and shifts physical injustices through witnessing and physical imitation. This aspect of theatre had profound effects on those who witnessed the drama in Rwanda. The use of mannerisms, speech patterns and plot conflicts were created to mirror the events of the genocide. Former perpetrators reported that after witnessing the drama which replicated or mirrored their own past actions and the responses these received within the drama, they were inspired to imitate the drama in their own lives. One former perpetrator, after watching a drama, reported that the play evoked in him the memory of several additional killings towards which he had contributed. A second one further reported that the drama unfolded before him like a book and he had flashbacks of his own actions. ‘The family was happy because they were able to find out where the bodies were buried and I helped them dig up the bodies. I had thought about confessing before, because I’m a Christian, but when I saw that nothing bad happened to the person in the drama, I felt it would be safe to confess without anything bad happening to me’ (Breed 2008:45). From the above example, it is observed that the power of theatre lies in the process of identification and provoking an ethical ambiguity within individuals arising from the understanding of oneself in relation to others. The ‘self’ and ‘other’ paradox hence defines the potential efficacy of performance when the possibilities it raises resonate with the realities affecting the audience (Chinyowa 2008). Hot-seating in participatory theatre refers to a process where a participant is questioned by the rest of the group whilst in character. Characters may also be hot-seated in pairs or in groups (Mtukwa 2010). It involves participants asking carefully considered questions that are critical to understanding the conflict. Hot-seating is a safe, creative interview technique that does not attract real world hostilities associated with perpetrators of violence. The aesthetic space provides the protection needed for participants to respond in honest, constructive ways that give deeper insights into the motives behind the conflict. This technique gives a creative opportunity to those seeking answers to questions that they would not normally ask. In Rwanda, participants witnessed a drama where ‘bodies’ were being carried by performers. A woman spontaneously began approaching the stage, asking, ‘Where are you taking them, down the Nyabarongo river?’ (Breed 2008:44). Although this development was not intentional, and may even be attributed to traumatic reaction to the drama, it cannot be denied that this participant started asking questions to show how the community was desperately asking questions and seeking to understand why the genocide happened. Grassroots ensembles in Rwanda made use of symbolism and metaphor as safe mechanisms in communicating deeper and difficult to express emotions. The use of symbolism and metaphor in participatory theatre protects participants through distancing or disassociation, for those dealing with harsh realities such as abuse and violence (see Mtukwa 2010). Instead of using real guns, ‘perpetrators’ in the drama pointed long sticks as symbolic of real guns. Another example is a man within the aesthetic space, standing straight and stretching his arms wide, dropping his head to the side and a woman praying at his feet. This was symbolic of the cross of Jesus Christ or God. As the woman prays, the figure of Jesus walks off the stage to symbolise the rejection and abandonment people felt from Jesus/God during the violence. Further distancing for protection of participants occurred through comic-relief. This worked better with traumatised participants. Women were reported as turning away or covering their heads or eyes during traumatising dramas. However, after a comic presentation of the drama, they began re-engaging (Breed 2008). One comic scenario depicted a ‘perpetrator’ whose gun jams and cannot shoot anymore, his comic frustration and confusion towards his gun rendered bouts of laughter. Distancing through symbolism enhances participation because instead of disengaging from the drama due to trauma, participants can begin to re-engage through examining issues underlined within the metaphor. Through interacting with the metaphor, participants have chances to experiment and examine given norms, values and practices which govern their real lives (Chinyowa 2008). Hence metaphor engages participants at a deeper sub-conscious level. Peace practitioners employing arts-based mechanisms need to ask if their methods are effecting positive movement towards their desired goals. Thus there is the need to ask how effective theatre is for peacebuilding. It is argued here that theatre is an excellent tool for communication in communities experiencing hostilities and mistrust, especially those emerging from violence. The efficacy of theatre stems from its use of indigenous tools of communication such as song, poetry, dance and prayer, as opposed to foreign elements. However, theatre does not demand rapid and prescribed general results. It is a process that is created by those who find meaning in it. The essential value of the arts in peacebuilding is its ability to create a safe space for expressing individual or group experiences. Peacebuilding scholars emphasise the importance of the need to narrate the events of the violence as a basis for peacebuilding. Critical to the efficacy of participatory theatre is the process of reflection that happens when the drama has ended. Reflecting allows for an evaluation of the drama and the process; thus it allows participants to find out which direction the group needs to take, if some participants are lost in the process or if they all discovered some common meaning. They must decide whether to end the process or leave off until a further agreed time (Neelands 2006). Reflecting encourages participants to learn from each other how their actions and attitudes affected others, and whether these are related to the real conflict. Therefore any given structure in peacebuilding work must allow those involved in the process the time to reflect and express feelings experienced during the process. This is a way of sharing and concretising new insights, meanings and solutions that can be agreed upon. Hence it allows for diverse interpretations of the conflict. It can be observed that the use of participatory theatre in Rwanda was successful in creating conducive spaces for the journey of reconstruction and healing to begin. Apart from dealing with post-conflict recovery, theatre ensembles in Rwanda found themselves dealing with poverty reduction strategies. Hence participants realised that re-building communities includes eradication of poverty and the support of livelihoods. An example is the Association des Jeunes pour la Promotion du Développement et de la Lutte contre la Ségrégation (AJDS). While several of their plays promoted unity and reconciliation, they were also very active in community building, development and establishing departments that dealt with unemployment, HIV/AIDS, human rights, and gender issues (Breed 2008). 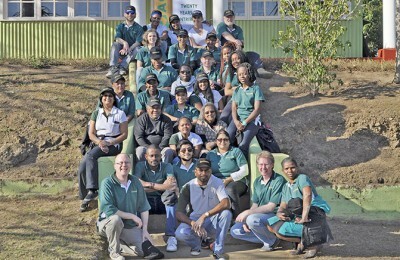 This success stems from the fact that community members have a vested interest in re-building communities and hence need to find organic as opposed to prescribed solutions. Having looked at the use of participatory theatre methodologies for peacebuilding, it is necessary to examine liberal peace mechanisms and consider the challenges they pose when applied within grassroots communities. According to Williams (in Jaye et al. 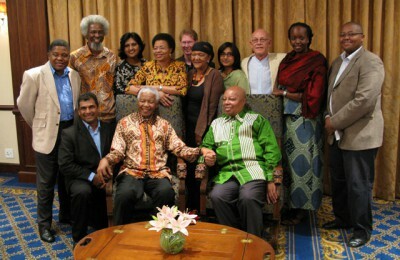 2011), the formal negotiation table in peacebuilding mostly involves facilitation, formulation and manipulation. 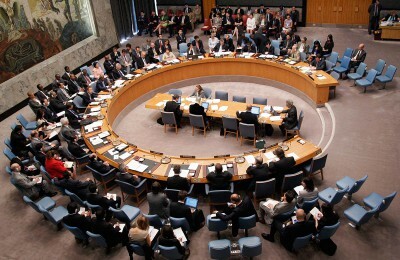 Facilitation is performed by a mediation team to create an enabling environment for communication by parties involved in the conflict; formulation is the process whereby the mediation team suggests possible solutions to both sides for resolving the conflict; thirdly manipulation is where the mediation team is backed by the United Nations and powerful western states to influence parties to sign an agreement. Formal mediation tends to prescribe pre-conceived solutions to the conflict through signing of peace agreements (Tesfamichael 2008). Imposing peace from above has serious limitations. Placing peace activities within the post-conflict stage of the conflict is problematic since it occurs within the victor’s atmosphere of peace, rather than a negotiated peace atmosphere (Bogner and Dieter 2013). Therefore legacies of one-sided victory perpetuate conflict and attempts at its resolution. In Rwanda, peace was brought by victory of the rebel forces when the Rwandan Patriotic Front was not representative of the population in the first place (Longman 2004:64). Apart from that, representatives or leaders involved in the signing of these accords may not be legitimate. The Arusha Accords were widely unsuccessful because they were prescribed to end the war and create a coalition government. However, the challenge for government organs in Rwanda was that due to the devastation of the genocide, neither the government nor its institutions were prepared or had the tools to deal with mass-trauma. Boege (2011) laments that Western thinking has become so overwhelmingly predominant and appears as the universal model; whereas other ways of thinking are merely perceived as ‘the other’. Boege (2011) further critiques the application of Western liberal peace models to intra-state conflicts, when they were created to deal with inter-state conflicts. This application has had limited success and often disastrous effects (Hagg and Kagwanja 2007). Liberal peace models in Africa have tended to undermine the process of peacebuilding (Hagg and Kagwanja 2007:23). 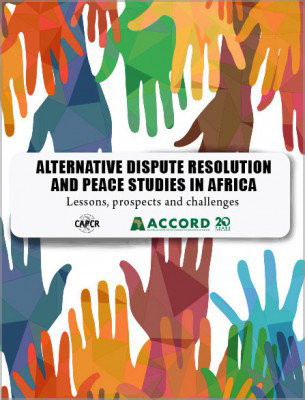 Hagg and Kagwanja (2007) have observed three aspects that have limited the success of liberal peace as a conflict resolution model in Africa. 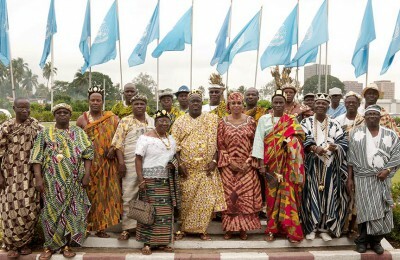 Firstly, there is an emphasis on individual rights and freedoms and a disregard of African traditional perspectives on family and kinship; secondly, the principle of identity is based on inter-state conflicts and ignores intra-state identities; and thirdly the emphasis on majoritarian democratisation tends to ignore the role of traditional authorities (Hagg and Kagwanja 2007:22). The application of international justice mechanisms may create stumbling blocks to peace, since there is a tendency by mediators to simplify liberal theory during implementation and stereotype local contexts. It may be argued that the problem with liberal peace models is that consultation takes place with a few political elites who make decisions on behalf of the citizenry. This top-down approach reduces citizens to mere watchers of political processes that affect them and takes away the subaltern voice. Final decisions tend to be too general, hence there is a need for context-specific solutions. The use of theatre poses risks in its application to peacebuilding. Firstly, using theatre requires a balance between communication and exaggerated performance rituals. Furthermore, opening up about personal struggles within a group can involve significant individual self-exposure. Most participants are usually not experienced performers and may struggle to communicate clearly in front of others for the first time (Löfgren and Malm 2005). Nevertheless, such setbacks can be curbed by effective induction of participants into the process, sticking to the rules of conduct and maintaining an effective aesthetic space. This solution in itself gives rise to another challenge because meaningful transformation in participatory theatre is dependent on the process, the facilitator and the interventionist strategies applied (Prentki 2009). Apart from that, effective peacebuilding tends to depend on the capacity of activist and non-governmental organisations to support relevant transformation. Informal peace practitioners representing civil society run the risk of becoming the soft arm of government policy making (Prentki 2009). The inherent problem is the negative image and perception of arts-based interventions, hence their lack of legitimacy at state level. Breed (2008) reports on re-traumatised participants during dramatisations in Rwanda. Young participants ran for refuge at a school hall near Murambi Memorial site after witnessing a traumatising drama. In other parts, during commemoration plays at Gisozi Genocide Memorial in Kigali, a traumatised child began to scream and had to be carried out by first aid workers (Breed 2008:45). One then observes that the core challenge for using theatre in such instances is that traumatised participants will need special interventions and care, such as counselling or psychotherapy. But facilitators may not have these specialised skills. Another limitation to using theatre for finding solutions is that drama is transient and impermanent (Löfgren and Malm 2005). It becomes hard to analyse the drama cognitively or systematically because drama exists in moments, unless it is captured and recorded. However, to a large extent, the processes of reflection and evaluation at the end of certain activities, meet such challenges. Reflection and evaluation give participants the time to stop the action, make observations and come to solid conclusions on possible solutions as a group, which can then be recorded and documented for future relevant use. There exists a tension between peace and justice due to the common difficulty of combining peaceful settlements with the punishment and compensation of war crimes (Bogner and Neubert 2013). Thus if creative methods of peacebuilding are to be successful, there is a problematic dichotomy which needs to be addressed. This may lead to a compromise, which results in the impunity of those involved in war crimes and human rights violations for the sake of ‘peace’. As observed in Rwanda, theatre encouraged voluntary confessions by perpetrators of the genocide, but that was also incriminating for those not willing to confess. Thus theatre was used to open a can of worms even though it operates within an atmosphere of forgiveness and confidentiality. Due to resources and time constraints, it may not be practical to organise and hear stories and concerns of millions of citizens, but as observed from the Rwandan case, over 300 theatre ensembles were able to have a national effect. However, the major controversy over using theatre for peacebuilding lies in whether theatre can effectively address structural injustices and oppressive institutions. To counter this challenge, theatre for peacebuilding should be concerned with creating concrete suggestions and solutions derived from the process. These can then be advanced to form frameworks for mediation and advocacy to lawmakers and government organs. Thus theatre can be an effective data gathering tool for advocacy and lobbying. The use of theatre by those at the bottom structures of political power is problematic in that they may not have access to power or resources to make critical and structural changes (Arendshorst 2005). However, this can be countered by sharing and publishing data gathered from theatre processes for the benefit of other communities including government organs, mediators and lobbying groups who may advocate for change. A danger posed by using creative peace processes is that the safe space created by theatre runs the risk of becoming a comfort zone, a place of habit and adaptation both for community members and facilitators (Prentki 2009). This is why modern citizens now have to work harder at building and maintaining their democracies. They must also actively participate in the economy. In fact, citizens of the twenty-first century can no longer afford to place their own destiny in the hands of select leaders and hope that these will have their best interests at heart. The fact that peace practitioners may come into a community with the goal of peacebuilding may be problematic and viewed as top-down in approach. Practitioners from outside need to take time in studying the problems together with community members and agreeing on solutions. Hence their role is that of enabling and guiding the process as opposed to imposing models, theories and solutions. Community members are innately intelligent, organic intellectuals who have the ability to identify their challenges and find possible solutions (Gramsci 1971). Theatre associations in Rwanda were successful in their application of theatre to re-building communities; however, theatre techniques applied were not explicitly described and identified from the broader applied theatre field. Rwandan theatre ensembles applied theatre to re-build communities, open dialogue and mend broken relationships among former enemies, but they used whatever theatre knowledge they possessed without labelling or identifying their theatre as applied theatre or drama. Hence there is a need for further explicit use of applied drama empirical research examining how a participatory theatre paradigm can be used as a pedagogy for peace practice. Although it is tempting to build a theatre model for use by practitioners in similar contexts in Africa, one runs the risk of prescribing a model which is a remnant of Western liberal methods, while insisting on the universality of the process. However, a repertoire of established theatre techniques can be empowering to peace practitioners since they provide a bag of tricks and tools, thus equipping practitioners who do not have specialised knowledge in the applied theatre paradigm. Practitioners can then amend and customise these tools to suit context-specific needs and place indigenous knowledges, history, traditions and customs of communities at the forefront of peace initiatives. The rare strength of the Rwandan ensembles in successful peacebuilding was that they were organic and initiated by community members themselves, hence they were bottom-up initiatives. Theatre inspires actions and thoughts which are inaccessible in everyday existence but which can be made possible by those willing to dare to de-construct the past and re-construct new realities. The fictitious nature of drama allows participants the freedom to express, explore and try out different solutions, to question authority and speak back to violence. In Rwanda, the act of participating in or witnessing the drama had profound effects on participants that led to new relationships between former enemies, voluntary confessions and subsequent forgiveness. Theatre is inexpensive and accessible to women, children and the elderly – who may normally be excluded from the formal negotiating table. It brings together communities and is a local product embedded within indigenous knowledge as opposed to the enforced, foreign and prescribed peace found within liberal theory peace processes. 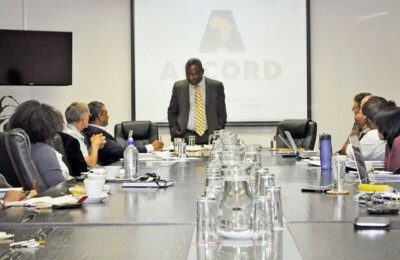 Therefore, there is a need for peacebuilding in Africa that seeks to put participants in the forefront and encourage organic ownership of peace processes. The use of theatre can become an instrument for gathering data so that arts-based approaches will be able to effect structural changes to institutions. Furthermore theatre for peacebuilding may be most effectively used in tandem with other instruments such as advocacy and lobbying – that seek policy changes, crisis management and post-conflict governance. Amollo, Maurice 2008. The power of theatre in transforming conflicts at Kakuma Refugee Camp. 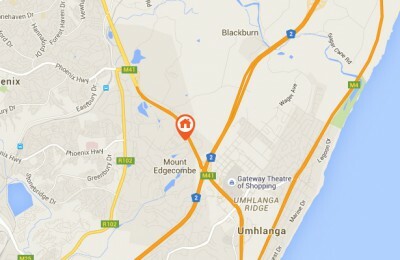 Available from: <http//www.beyondintractibility.org/casestudy/amollo-power.html> [Accessed 21 May 2015]. Arendshorst, Thomas R. 2005. Drama in conflict transformation. Available from: <http//www.beyondintractability.org/essay/drama> [Accessed 21 June 2012]. Blatner, Adam 2006. Theoretical foundations of psychodrama. Available from: <http://www.blatner.com/adam/pdntbk/pdtheory.htm> [Accessed 8 August 2009]. Blatner, Adam 2007. Interactive and improvisational drama. New York, iUniverse Inc.
Boal, Augusto 1979. Theatre of the oppressed. London, Pluto Press. Boal, Augusto 1995. The rainbow of desire: The Boal method of theatre and therapy. London, Routledge. Boege, Volkner 2011. Potential and limits of traditional approaches in peacebuilding. In: Berghof research centre for constructive conflict management ed. Berghof handbook of conflict transformation, Berlin, Berghof. pp. 431–457. Bogner, Artur and Dieter Neubert 2013. Negotiated peace, denied justice? The case of West Nile (Northern Uganda). Africa Spectrum, 48 (3), pp. 55–84. Booth, David 1994. Story drama: Reading, writing and role-playing across the curriculum. Ontario, Pembroke Publishers. Breed, Annanda 2008. Performing the nation: Theatre in post-genocide Rwanda. The Drama Review, 52 (1) (T197), pp. 32–50. Butler, Judith 2005. Giving an account of yourself. New York, Fordham University Press. Chinyowa, Kennedy C. 2008. Evaluating the efficacy of community theatre intervention in/as performance: A South African case study. Applied Theatre Research/IDEA, 4 (1), pp. 1–12. Conteh-Morgan, Earl 2005. Peacebuilding and human security: A constructivist perspective. International Journal of Peace Studies, 10 (1), pp. 69–86. Gordon N, and H. Myers. 2001. Theatre for Peace-building in Goma and the Kivu Provinces. 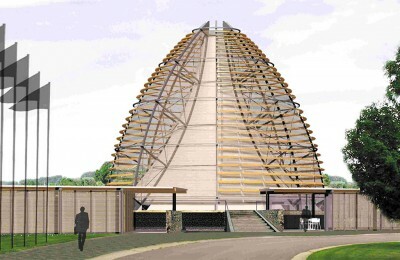 Available from: <http//:unescocommunity_theatre_in_kivu_/gordonandmyers/casestudy> [Accessed 13 July 2011]. Gramsci, Antonio 1971. Selections from the prison notebooks. London, Lawrence and Wishart. Hagg, Gerard and Peter Kagwanja 2007. 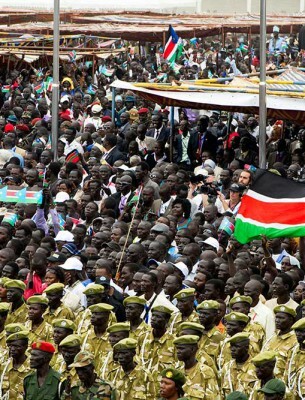 Identity and peace: Reconfiguring conflict resolution in Africa. 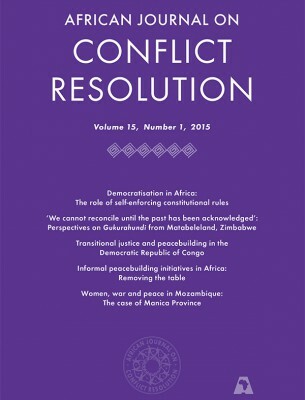 African Journal on Conflict Resolution, 7 (2), pp. 9–35. Jaye, Thomas, Garuba Dauda and Stella Amadi 2011. ECOWAS and the dynamics of conflict and peace-building. Dakar, CODESRIA. Kelleher, Joe 2009. Theatre and politics. New York, Palgrave Macmillan. Lederach, John 1997. 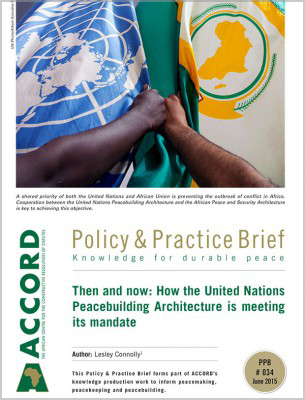 Building peace: Sustainable reconstruction in divided societies. Washington, D.C., United States Institute of Peace. Löfgren, Horst and Birgitte Malm 2005. Bridging the fields of drama and conflict management: Empowering students to handle conflicts through school-based programmes. Malmö, DRACON International. Longman, Timothy 2004. Obstacles to peace-building in Rwanda. In: Ali, Taisier M. and Robert O. Matthews eds. 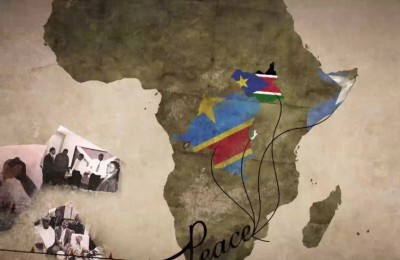 Durable peace: Challenges of peace-building in Africa. Toronto, University of Toronto Press. pp. 62–72. Lund, Michael S. 1996. Preventing violent conflicts: A strategy for preventative diplomacy. Washington, D.C., United States Institute of Peace Press. Mtukwa, Tendai 2010. Catch them young: Using process drama for children’s rights education. Master of Arts thesis, University of the Witwatersrand, Johannesburg. Mtukwa, Tendai 2013. Theatre in the container: Border-crossing pedagogy among women living with HIV and AIDS. Journal of Applied Theatre Research, 1 (2), pp. 177–187. Neelands, Jonathan 2006. Making sense of drama: A guide to classroom practice. London, Heinemann. Ogutu, Sophia D., Fanta Coulibaly, Apolline N. Musengeshi, Douglas N. Numbi and Patience Munsahu 2003. Women’s voices and African theatre: Case studies from Kenya, Mali, the Democratic Republic of Congo and Zimbabwe. Johannesburg, The global campaign for free expression. Available from: <http//www.Article19.org/casestudies> [Accessed 12 May 2015]. Prentki, Tim 2009. Applied theatre in a global village. In: Prentki, Tim and Sheila Preston eds. The applied theatre reader. London, Routledge. pp. 251–253. Savidge, Dale. 2012. What is applied theatre. Available from: <http//www.appliedtheatrecentre.org> [Accessed 25 May 2015]. Shank, Michael and Lisa Schirch 2008. 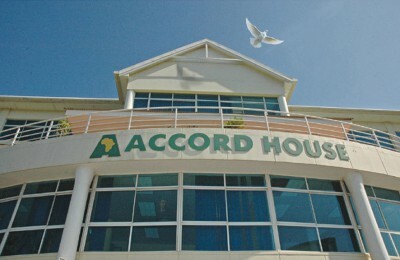 Strategic arts-based peace-building. Journal of Peace and Change, 33 (2). Available from: <http//www.performingtransformation.blogspot.com/2012/10/plethora-of-initiatives-has-been-and-is.html?m=1> [Accessed 25 May 2015]. Tesfamichael, Woldu S. 2008. 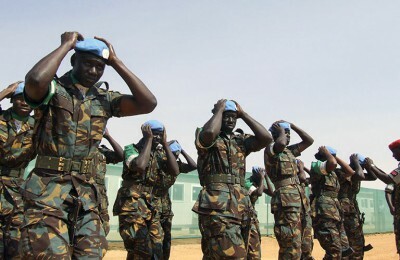 Negotiating peace for Darfur: An overview of failed processes. Available from: <http//www.beyondintractibility.org/casestudy/tesfamichael-negotiating> [Accessed 21 May 2015]. Lund’s (1996) curve of conflict shows how conflicts typically evolve over time and how different phases of conflict relate to one another. The bell shows an escalation from stable peace to growing hostility, increasing tension, and then the outbreak of violence. The mid-phase of the curve is where violent conflict peaks and then begins to subside. The back-end of the curve shows the de-escalation of conflict. Breed (2008) uses pseudonyms for the protection of those who participated in her interviews.